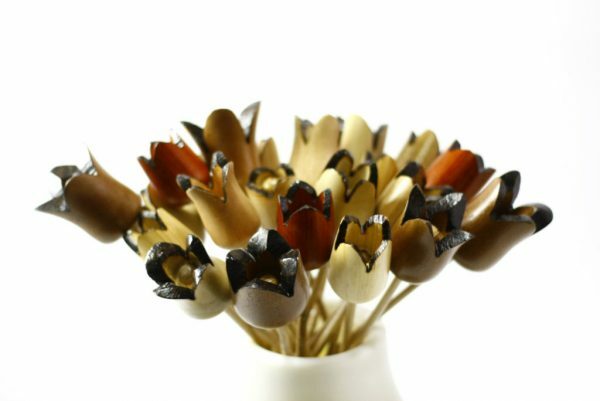 These wooden flowers are long lasting, they need only be dusted, and they’ll never wilt! 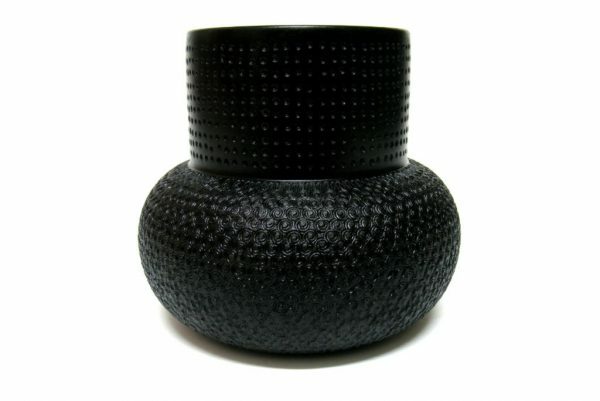 They look elegant in a vase on the table or mantle, even laying on a runner. These flowers make a wonderful housewarming or hostess gift. 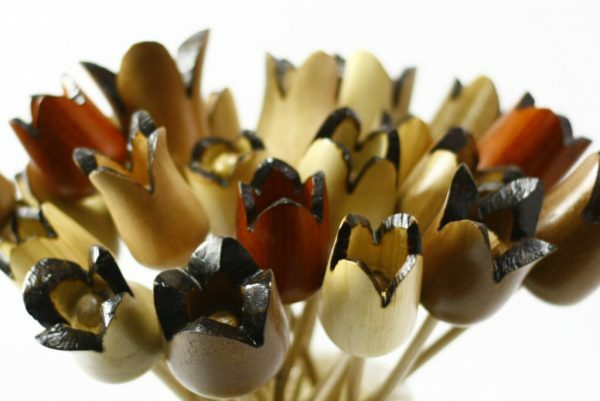 I have used a variety of different woods to create these flowers. There are no stains or dyes on the wood, the colors on each flower are the natural colors of the wood! I accented the flowers by pyro-burning the edges for contrast, as well as writing the name of each wood on the stem. I have sprayed several coats of clear polyurethane lacquer to protect them for years and years. 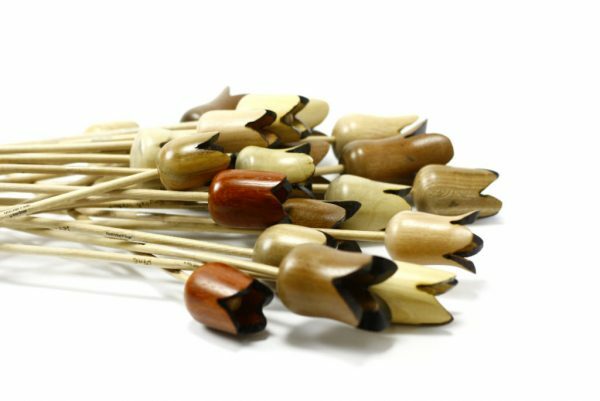 Each flower is on a wooden stem of about 10″. 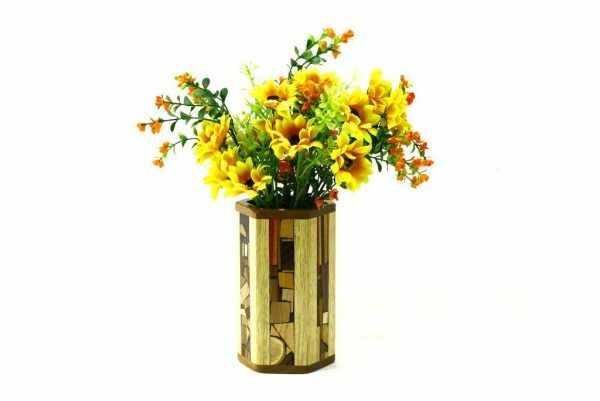 You will receive a set of 6 assorted flowers. This bouquet comes gift wrapped.